Periodontist in Aventura FL | Sedation Dentistry | Andrew M. Alpert, D.M.D. Occasionally a patient may become anxious and can't relax. As many as 30% of adults in America are afraid of needles. Sedation dentistry offers these dental patients a safe and effective alternative through sedation dentistry. There are three forms of conscious sedation that allow a patient to relax and/or become sleepy. 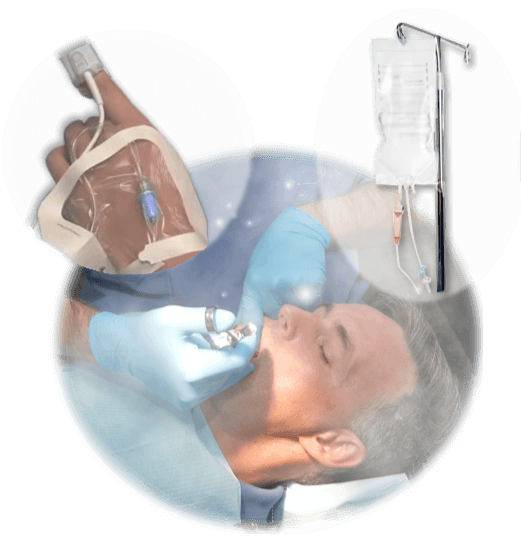 Forms of conscious sedation may involve nitrous oxide analgesia, taking an oral medication, or receiving medication intravenously. One of the benefits of sedation dentistry is that it eliminates movement during a periodontal or dental implant procedure. Sedation dentistry relaxes the patient and allows those who might avoid a dental visit a safe and anxiety free alternative. If you are hesitant about scheduling your next visit, consider sedation dentistry. Ask us for more info and we will be sure to put your mind at ease.